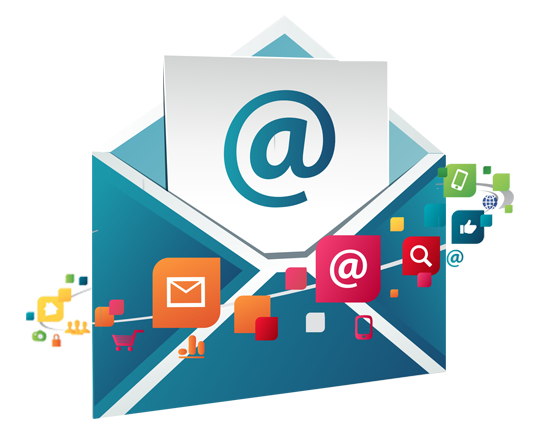 In this article we will go through the general process of setting up a remote dedicated mail server to send your emails to your customer list, and we will also look at the reason you would bother doing it considering the cost. We will look briefly at some of the commonly used alternatives to send and receive email and why they end up being inadequate as a business' and web site's customer database grows. Hosting packages are very convenient; you can easily start with the minimum requirements and upgrade when necessary. Many times, non-technical staff know little or nothing about the details or why an upgrade is needed, or take the default service for granted, which is inconvenient. Apart from that, there are certain precautions which need to be taken when using a dedicated server or some ISPs will consider that you are spamming. I have a colleague who runs a non profit ezine. She currently sends 5000 emails every week to her customer base. In the true nature of start-ups she started off by sending emails from her Yahoo address to her subscribers, who numbered less than 30. Her database rapidly grew and she finally cobbled together a mini site on a shared hosting package which we put together for her. Her database grew exponentially (via referrals only) and suddenly 5000 emails is standard (with the database growing yearly). The first problem occurred when the hosting server's IP address was flagged due to an open relay. The problem was quickly fixed, but a rash of other problems ranging from spambots to problems with our ISP's services and charges started, which stretched the support capabilities of our small staff. With irate customers breathing down our necks, we promptly shipped all our web sites to Go Daddy and later Hostgator. When we hosted the sites we had on our own hosting servers, we had control over the Send mail transfer protocol settings and the rate at which we sent mail. Once we transferred to another companies data center, we got stuck with default settings, and were restricted to sending 200 emails per hour. Being clueless as to how things worked I sent emails to the help and support desk, and they told me that for bandwidth and spamming reasons it would be impossible to raise the cap unless I set up a dedicated mail server. A shared mail package has obvious cost benefits, and is an inexpensive way of being online with the benefits of multiple features such as help and support, as well as web-based administration and access from all over the world. When you start getting some heavy traffic as all your optimization and great content starts paying off, however, a shared server cannot handle several tens of thousands of emails. Now imagine that your database is segmented into different sections and times, some daily emails, some weekly, perhaps some monthly email (an illustration is the Developer Shed weekly newsletter, however the scripts update has a daily update). Not every one is a mega website, but I believe it's safe to say that's where many web masters would like to find themselves. A lot of web hosts do offer dedicated mail servers on request, but generally they require a level of knowledge which is higher than that needed for a shared server. This is because some administration features will need to be enabled to optimize for security, spamming and sending; a lot of things have to be done from your end, and in some circumstances, your system administrator will have to keep an eye out for security threats and software updates himself. Note that it takes the same process to set up a dedicated mail server for your web host as it does to set it up on your own machine. After getting your server machine, you buy/choose which software to go with it, either Linux or Windows. When you want to use Windows you buy both Windows Server OS (for some really high price) and then you buy Windows Exchange Server. Note that depending on your host, you either buy the software or they combine the cost in hidden charges with your hosting and support. You can certainly buy/download Linux-based software. Enterprise editions come with support; open source is exactly the same but you get no support from the vendor whatsoever. However, if your administrator has experience with Linux- based software (and preferably is passionate about it) you can install open source versions and skip those bills altogether. Most hosting packages that offer dedicated mail servers offer different versions of Microsoft Exchange Enterprise, which comes with Outlook as default software. Once you pick Windows as your OS of choice, the additional software comes as a must. If you pick Linux you have options ranging from SuSe, Mandrake, Red Hat and Novell. Novell however has options that make it compatible with most commonly used email software (such as Outlook) and has interconnectivity with Windows Exchange Server as well (receivers of your email will think it is powered by Microsoft Exchange software). Savvy users use Linux since it gives their site admin more control and flexibility. Linux OS also comes with an exchange version and software by default. It will come with a range of (free) exchange software. From this point with your host you are pretty much on your own, so the same thing you would do with your physical server is what you will do for your remote server. Some common versions that come with Novell include Exim, Postfix and Courier; any of the three would be adequate. According to a survey done in late 2006 by http://www.mailchannels.com/, Postfix is the most commonly used of the three. Note that once you avoid using Windows you get a wider range of choice (plus you are not compelled to upgrade). Once your OS of choice is Windows, you get automatic updates foisted upon you. If you have a skilled website admin, you get open source software, so the only thing you are paying for is renting the server and the support on the server itself. Hopefully you have a 24 hour site admin once you get to the stage of having to send several thousand emails a day (you can either learn how to monetize your site by selling products or just put AdSense on it; you should at least cover your hosting bills). ◉ Upgrade to a dedicated firewall. ◉ Upgrade to automated backup and restoration services. ◉ Upgrade to Exchange-aware per-mailbox antivirus protection and advanced antispam. The firewall will protect you from malicious users committing denial of service attacks, and will also stop malicious programs from hacking your site with ease (if a real hacker decides to penetrate your site you are pretty much done for). A firewall will prevent HTTP requests from getting answered, and will also enable your server IP not to answer pings, protecting you from the "ping of death" which can occur on the off chance that some person(s) deliberately starts pinging you millions of times. Also you should change your default settings to unlimited, or set them to the level you want to set your email sending options (that's the whole point of this exercise). With a dedicated mail server you can send a hundred thousand emails a day without much bother and very little technical knowledge if you get the enterprise editions. You can also set up your configuration to cancel certain operations such as the Linux "Finger" monitoring command. This is not a must but it is an added security advantage, since it will prevent third parties from seeing who is logged on and who is not. There are certain other operations which will help as you start sending your emails. You can meter your email sending by changing the settings on your exchange software. This is to prevent your IP address from being tagged as "spamming" by service providers such as AOL and maybe even Yahoo. It seems that AOL has a ten second per email rule of thumb (from any one IP address), so you should note that when sending to @aol.com email addresses, and even @yahoo email addresses. Despite the price differences (yes, dedicated mail servers are more expensive) it is definitely worth the payoff for high email sending sites. In case you are not convinced yet, check out some of these advantages most dedicated mail server services offer, courtesy of Netmagic (also check out Rankcase; their customer service is exceptional).